commented on "JARO'S CUBE ARM CHAIR ON SWIVEL BASE - MELBOURNE & SYDNEY AREAS"
commented on "The Andy Swivel Chair and 2 ottoman loose covers." 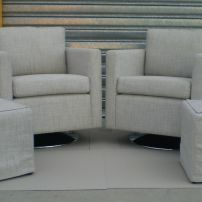 The Andy Swivel Chair and 2 ottoman loose covers. 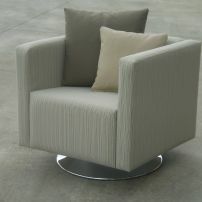 JARO can manufacture these and many more arm chair styles.